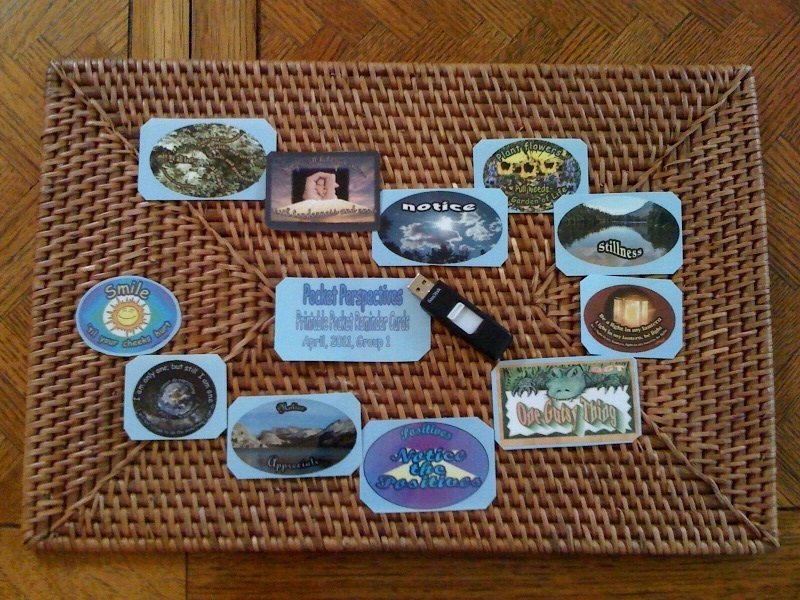 All of the cards in the photo and image below, are displayed individually, with explanations, further down in the blog. Please scroll down to see the larger, individual images and explanations. 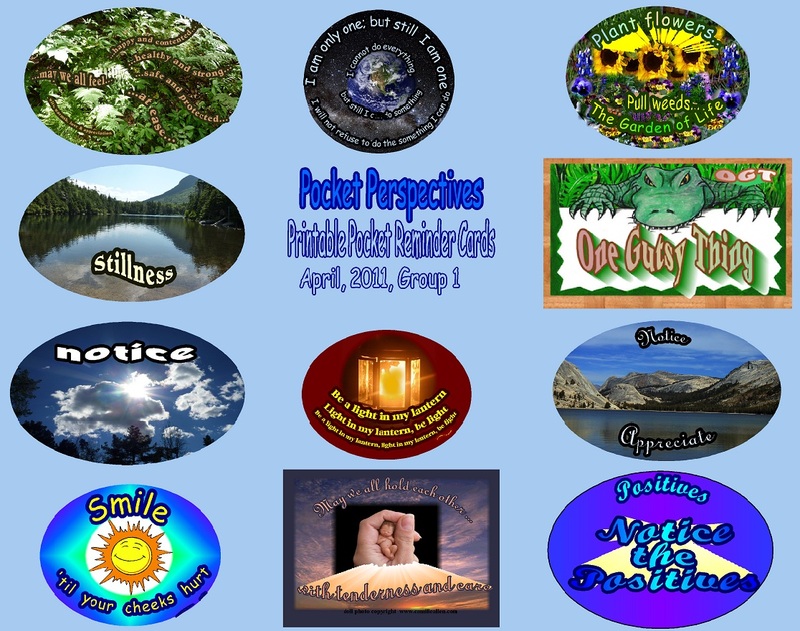 The name of this site, “Pocket Perspectives” is true…I really do have little reminder cards that I put in my pocket each morning. I encourage others to give this “Pocket Reminder Card” idea a try…it seems to be helpful. Click for larger size image. This is the same page of pocket sized reminder cards, with cutting lines on it. I print the cards on 64 or 96 pound paper and then cut them into business sized cards. It’s fine to print them on regular paper, however. I also laminated the cards in the photo at the top of this post. This entry was posted in Awareness, Courage, Flourish, Inspiration, Personal growth and tagged Awareness, Courage, Inspiration, Life, Personal growth. Bookmark the permalink.